NECN INVESTIGATES: How Safe Is the Public Pool in Your Town? State-run pools for many in Massachusetts are a summer savior. Inexpensive family fun to beat the heat. But necn investigates and finds pool staff violating state safety regulations - putting swimmers at risk. Department of Conservation and Recreation pools have been scrutinized in recent years, particularly after a woman's dead body wasn't noticed right away in a Fall River pool in 2013 because the water was too murky. The state says it has made significant strides since then, but we found that there are still problems. The violations were wide ranging. Inspectors from the state's Department of Public Health found lifeguards with no bullhorns, safety equipment inaccessible or broken, food not covered at the concession stand, and no way for food service workers to dry their hands at the sink. We took a look at pool inspections for the last three years and found significant issues statewide. 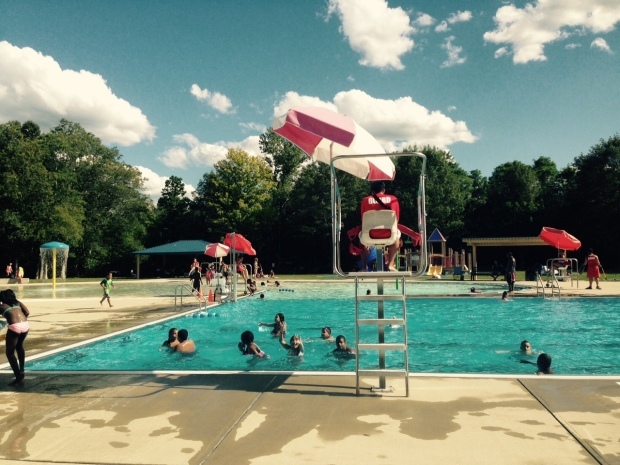 Of the 35 pools and wading pools health inspectors visited this summer, 91 percent had health and safety violations. There were inadequate first aid supplies, water depth wasn't properly marked, and broken safety equipment. Perhaps most concerning is that more than a quarter of inspected pools had insufficient emergency communication systems, meaning the state found they didn't have a way to make "immediate" contact with emergency officials using a system that was "unlocked and available to the public at all times." At Shine Memorial in Worcester, inspectors found the emergency communication system out of order, and when they tested an emergency call on the pool's cordless phone, Worcester Police did not have the correct address for the pool. Many of the pools have landlines, but they are behind manager's doors and not obviously accessible to the public. At pools where there are no landlines, like the Artesani Wading pool in Boston's Brighton neighborhood, they rely on cell phones, which is against state regulations. Pressed on the cell phone concern, a DCR spokesperson told necn they are taking an aggressive approach to installing emergency call boxes at all state pools. They say they have now fixed two of the broken call boxes and have made landline phones or cell phones more publically accessible at the other pools in violation. State inspectors uncovered other concerns at the 35 pools. Eighty-eight percent of the pools inspected had sanitation violations like moldy shower curtains, "generally dirty" bathrooms and drains clogged with debris. "In the last six weeks, we've had 202,000 people come through our pools, and I'll be honest, it's a chore keeping up with that," Dwinell said. Fifty-four percent of inspected pools had water quality issues - like too much chlorine or too little -putting swimmers at risk, doctors say, of parasites and other health concerns. Dwinell says in a crowded public pool, variation in chemical levels is par for the course, and a battle they fight daily. "People don't want to see the water chemistry go out of whack," he said. "Once it does, we shut down our pools, get people out of the water and then we're rebalancing those chemicals." But according to data from the Massachusetts Emergency Management Agency, staff failed to shut down pools as required time and time again - in Fall River, Everett, Somerville, Melrose, Mattapan to name a few. And at 26 percent of pools, inspectors found staff not testing chemical levels as often as they should or not keeping accurate or complete records in their log books. "We don't know what's going into our bodies in the water that can make you sick - really sick," said Sharon Francois, a mother from Chelsea.